This year, Tribal Art London will celebrate its 8th year. From beginnings in a small gallery space in London's famous Portobello Road, to it's new premise in Mayfair, the heart of London's art scene, the fair has a lot to offer both novices and seasoned collectors alike. As well as these pieces, the fair offers superb items for new collectors. The variety of pieces on offer at the fair, starting from a few hundred pounds upwards, reflects the nature of this ever-expanding market, as more and more are excited by chance to add of tribal art pieces to their collections. The tribal art market is growing in a similar fashion to the Chinese art market, as African buyers are keen to collect heritage pieces as their own economy grows. Tribal Art London takes place at the beginning of September, prior to the opening of Parcours Des Mondes in Paris, which was established in 2002 and quickly gained a reputation as an international leader in tribal art. The ever-growing Tribal Art London is now a pit-stop for those travelling to Paris. 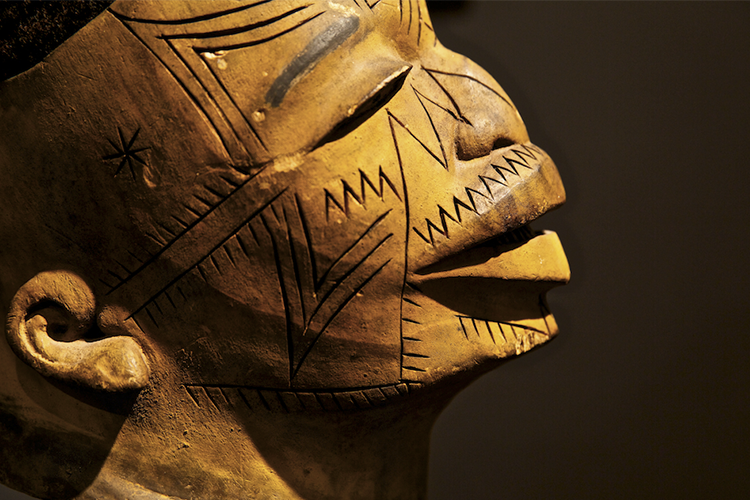 Tribal Art London will run from September 2-5. For more information, see here. Check out the catalogue here.